When he was 19, Dunlap killed four people at a restaurant that he had formerly worked at. He has apologized for his actions. 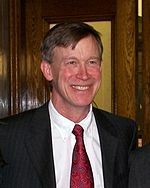 (Press Release, "Former Judges and Prosecutors, Faith Leaders, the NAACP, CO Latino Forum, the National Alliance on Mental Illness, Academics and Others Call on Governor Hickenlooper to Commute Nathan Dunlap's Death Sentence to Life In Prison Without the Possibility of Parole," May 6, 2013). See Clemency and New Voices.